288i rev C uses the same catching engine trusted by professional pest exterminators. 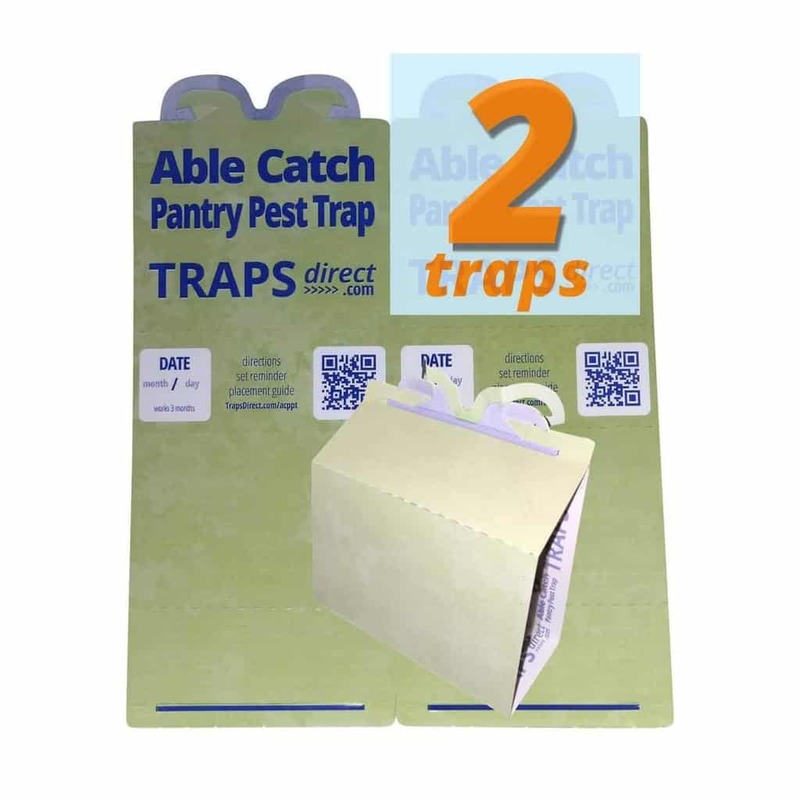 The insect and spider trap dimensions remain 7.5″ wide x 9.875″ tall sheets of 3 traps each 2.5″ wide. The catch surface is still the Green Eco-friendly Premium Prebaited Vanilla / Molasses scented pesticide free non-toxic catch zone. The 1/2″ exterior Anchor Strip (for windy, or upside down placements) stays put. All time tested elements remained tried and true. This means that the 288i spider catching engine is keeping the traps storied performance intact. So what changed is the “Skin” of the trap, the exterior is completely rethought with a fresh look toward the most common market of direct to consumer sales. This means that the RED of professional pest control was dropped, and all of the exterior is Deep Green that blends well with most home interiors, and floors. Like the green leaves of a tree, or the ‘disappearing green’ of a traffic signal (where RED and Yellow are used to draw attention) the pine needle green spider trap is really not noticed. An easy way to think about the design of the spider trap is a home. 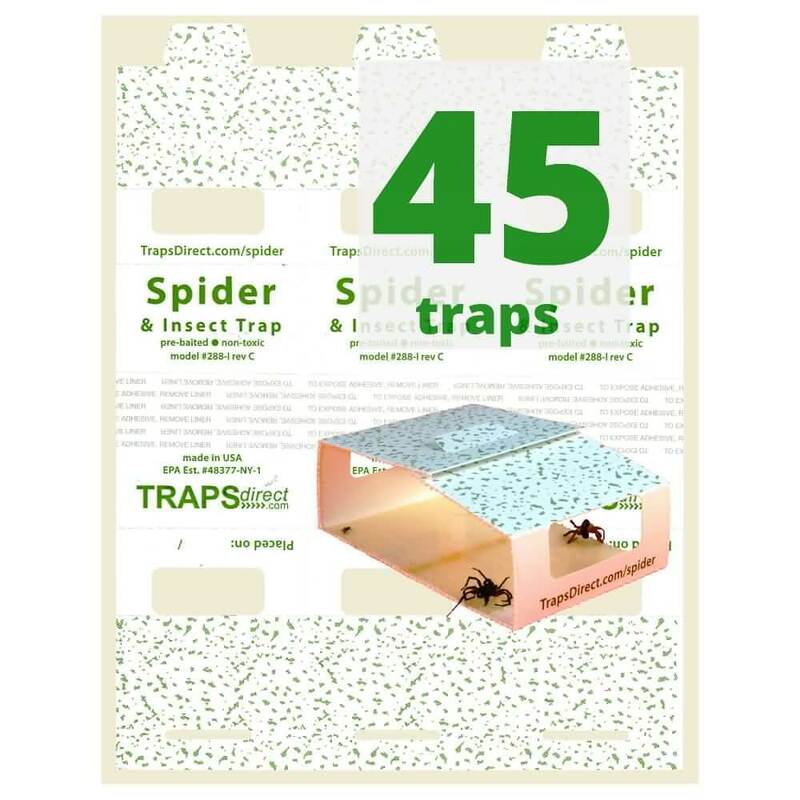 The 288i spider insect trap has a floor , walls , doors , windows and a roof. The doors are the 2 open sides that insects and spiders will walk in through, the side windows let you look into the trap regardless of its orientation to see if a target insect is caught on the floor ( trap zone with the ultra sticky glue). The roof is a pebble pattern roof hides in plain sight. 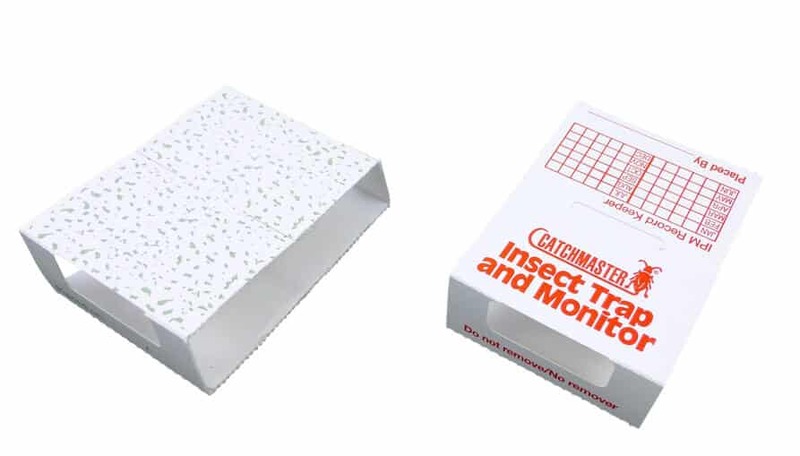 Previously the spider trap attic roof area was covered with an Integrated Pest Management grid, and Catcmaster Insect Monitor logos. Now there is no text, all of that has moved to the bottom of the Insect TrapI guess what you could call the floor joists or basement ceiling. Out of sight, but accessible when you need to re-order more. The two walls with windows have simply the trapsdirect.com/spider address and “Placed On: ” space for recording the placement date. These are both displayed under the window at the foundation level. As several beta testers said ‘it’s simple when you think about it, only put elements where they are needed, truly a minimalist approach to marketing’. We are glad to see TrapsDirect.com catching innovations in action. If you are ordering spider traps choose the green trap designed with your home (or apartment) in mind. This entry was posted in Spider Trap Reviews, Spider Traps Blog and tagged Brown Recluse Spiders, Green Spider Trap, insect monitor, smart spider traps, spider and insect traps.